Border Road Organization has begun road clearing operations to clear Srinagar – Leh Highway as well as the Manali – Leh Highway. While the snow clearance of both the routes has been delayed this year due to bad weather, BRO is hopeful of reopening both the routes soon. For Srinagar – Leh Highway, BRO has set a deadline of 15th April and is hopeful of achieving that target, as long as bad weather doesn’t disrupt their work. In case of Manali – Leh Highway, BRO is confident that it would be able to open the road till Sarchu by May and clear the highway till Leh by June. Though I firmly believe that once Baralacha La is open, there would be no problem at all in traveling to Leh, since Tanglang La usually reopens earlier than Baralacha La. Having said this, I also believe it is a bad idea to attempt either of the routes as soon as they open. Because both the routes have tendency of closing down multiple times initially due to avalanches. Add to that, road is normally in bad condition due to snow and water and route is so narrow at the top of Zoji La and Baralacha La that BRO has to implement one way traffic for Zoji La and in case of Baralacha La, there are frequent traffic jams at top. 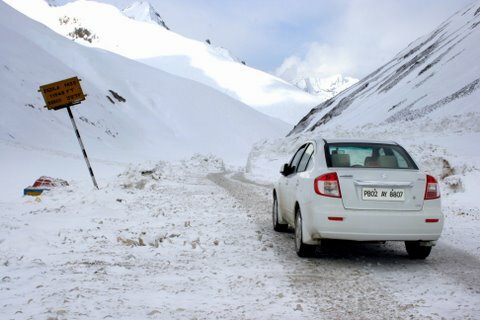 Of course for some, this is adventure and the primary reason why they wish to visit Ladakh :). 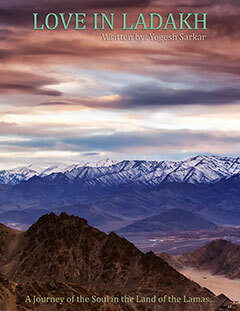 Either way, all the best to all those planning to visit Ladakh this year. I will keep posting regular updates on the status of both the roads to Ladakh on YogeshSarkar.com. Dear yogesh BHAI, I will start from leh for sarchu on 14-6-2015. And for manali on 15-6-2015. Hope all the passes will be doable on these dates. Farogh, all the passes should be doable at that time, except Wari La and maybe even Marsimik La. But they aren’t part of normal route. Seems you enjoyed a lot…SX4 Rocks, I also love to travel with my car..!! 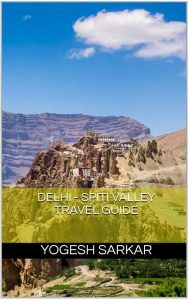 Thinking for road trip “Delhi to Leh”, Any recommendation for me? Go a little later once the road has stabilized (preferably after second week of June), so that there isn’t too much snow/ice on the road and passes aren’t closing every few days due to avalanches. Dear Yogesh sir, i will be travellingon 25th june isit safe to travel with kids as my son is 1.7 year old. Please suggest route as well as night stay either suruchu or keylong.